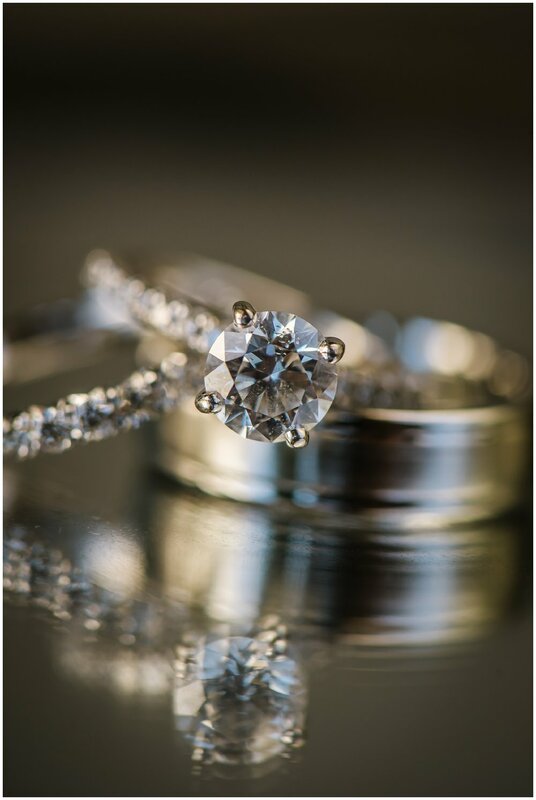 Lisa & Larry are married! 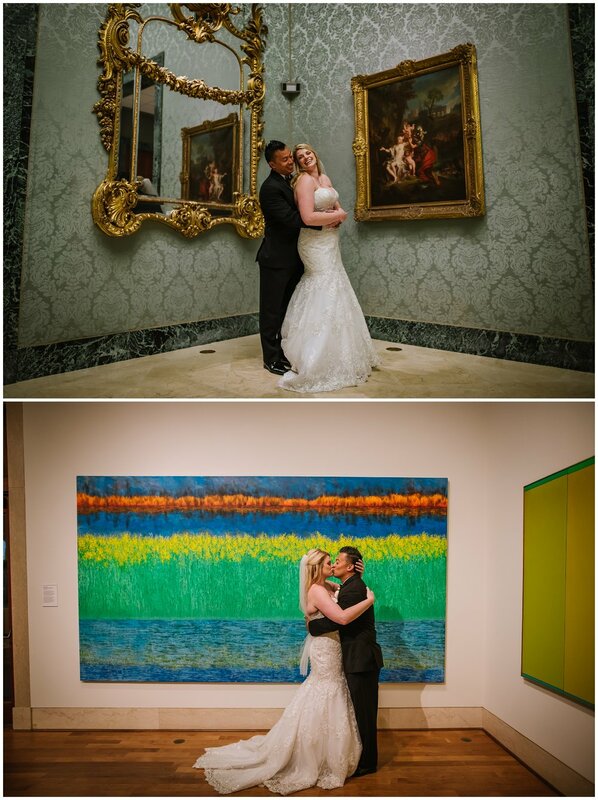 They had the most lovely wedding day at the St. Pete Fine Arts Museum. 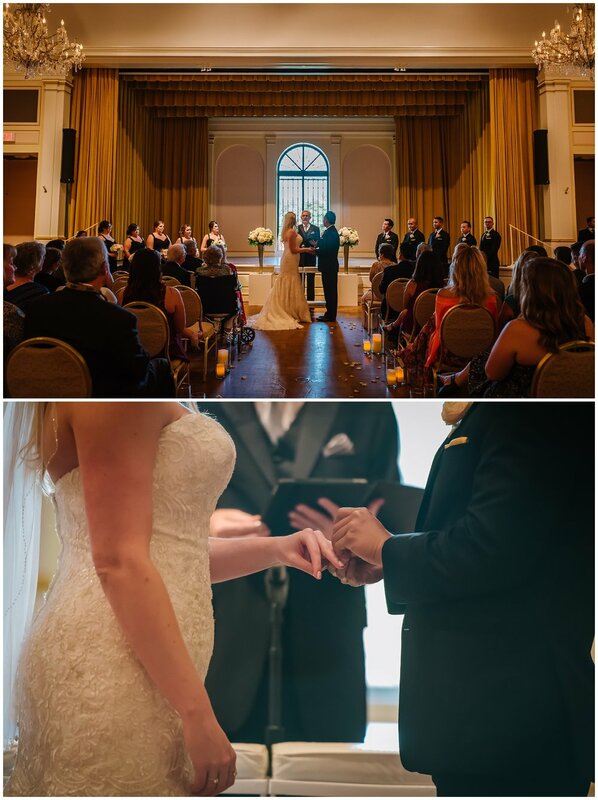 When I arrived at their suites at the Vinoy Renaissance the vibe was a wonderful mix of relaxed while radiating with confident love. It may have been a bliss hang over from Bali but I swear the entire day was almost zen it was so smooth, happy, and enjoyable! 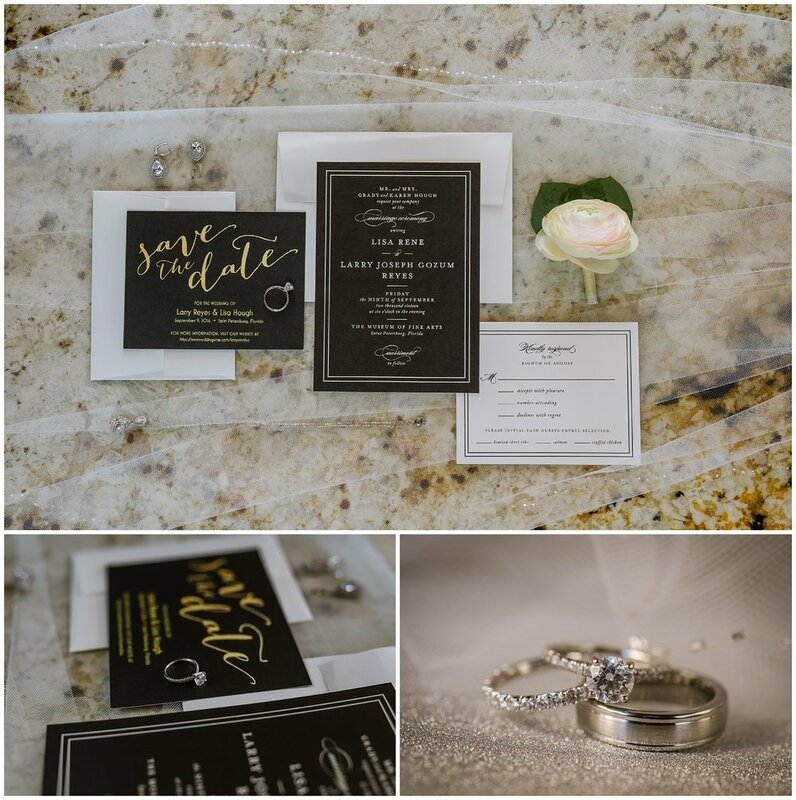 I loved playing with their quirky yet sophisticated details! Lisa had the cutest lace keds and would you believe they both picked out the same beautiful card to give to one another totally independently!? So cute! 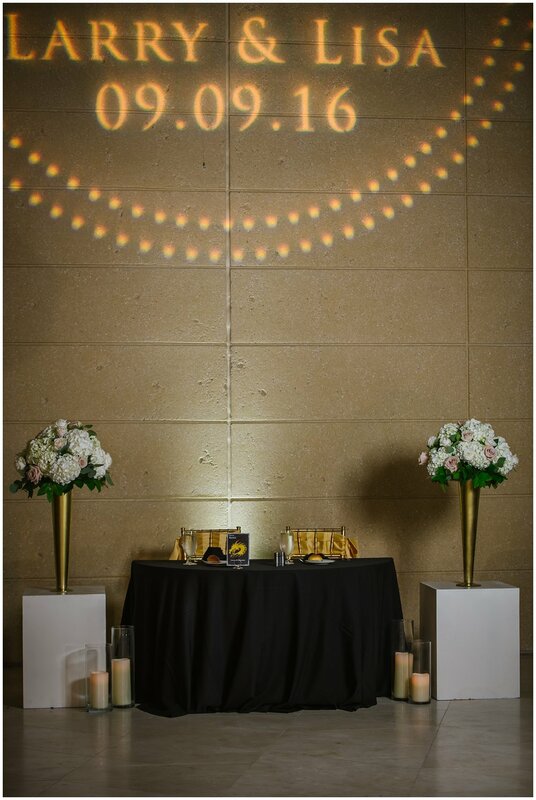 When it came to their decor Florist Fire rocked it once gain with the most lovely mix of creamy peach and put white flowers for the bouquets and centerpieces. That lovely yeah was perfectly complimented by gold and I just loved how their Game of Thrones nod snuck into the decor! They named their tables after kingdoms, had a set of dragon eggs on display, and even had a green glowing exit that was magical! 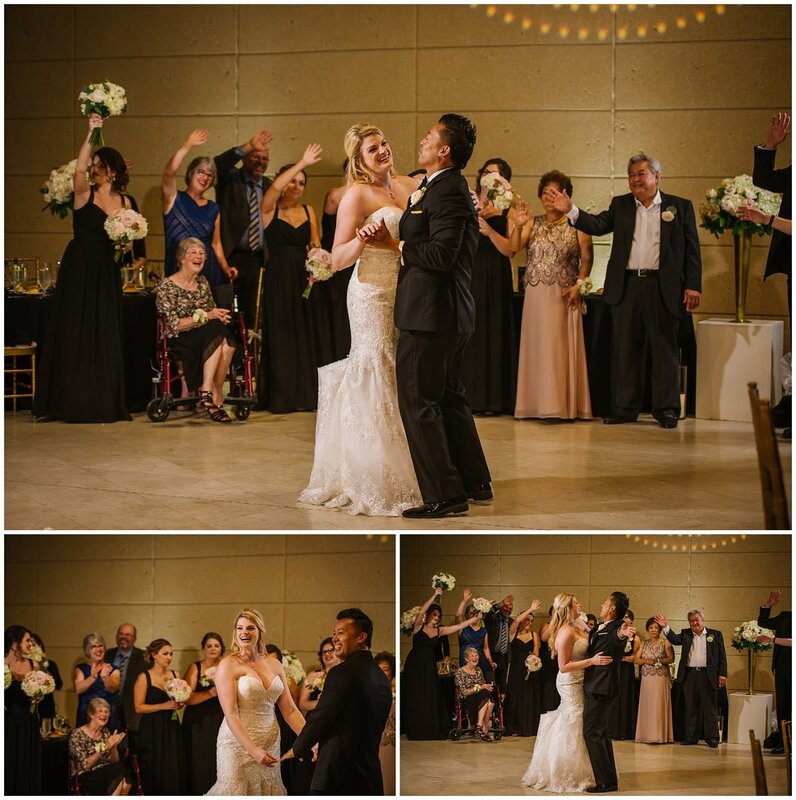 My favorite moments of the day had to be the first look with dad, theFilipino traditions they had during their ceremony, and Larry’s parents firing up the dance floor with their tango! The veil, cord, and coin ceremony during the wedding was so sweet and I loved how it incorporated their family members. Congratulations to these two incredibly lovely newlyweds, Dr. & Mrs. Reyes!